In the US Virgin Islands, the insects are pesky, but there aren’t any poisonous snakes or scorpions, and iguanas are more apt to beg a tourist for food as opposed to striking one with their tail. The most dangerous animals in this Caribbean paradise don't live on land. They live in its crystal blue waters. Sea wasp jellyfish, also known as box jellyfish are one of the most dangerous creatures in the ocean. Humans have been known to die of shock or heart failure from their sting before reaching shore. The deadliest of this species lives off the coast of Australia, but they are found throughout tropical waters, including the Virgin Islands. Although a death from its sting has not been reported in the Virgin Islands, this species is still considered extremely dangerous. Not only can a person have an anaphylactic reaction, but the sting is severe enough to scar skin. Shark attacks are rare in the Virgin Islands, as are attacks from eels and barracudas. However, the possibility does exist. As a precaution to avoid sharks, swimmers should stay away from fishing areas or where bait fish are set. Due to the bacteria in their mouth, the bite of an eel can lead to severe infections. Eels typically live in caves or under ledges, and divers should never reach into dark cervices. 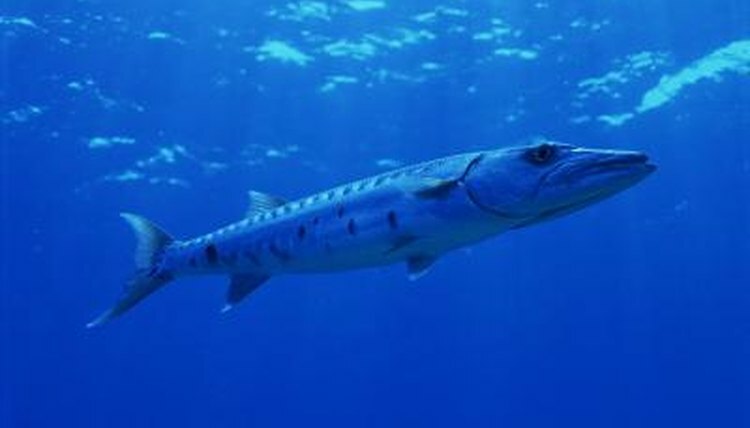 Great barracudas are curious and tend to be drawn to shiny objects. It’s recommended swimmers do not wear jewelry. Not everyone thinks of coral as a living animal. What appears to be branches of a plant are actually colonies of coral animals called polyps, and what looks like flowers are tentacles that are used to capture food. Fire corals have what appear to be long fine hairs. These are stinging cells, and their sting is painful. Tourists are warned to be leery of this coral not just because of the danger, but also because it’s an endangered species. Its structure is fragile, and it’s easily damaged by storms, pollution or careless divers. Long spine sea urchins are typically found near reefs and rock beds on the ocean floor. If stepped upon, the longer spines of this sea urchin penetrate deeper, and when the skin is punctured certain species release venom. The longer spines may break off causing them to embed. The human body usually absorbs the broken piece of spine, and redness and swelling are typical side effects. If infection sets in, the spine needs to be surgically removed. Other animals of caution are spiny scorpion fish, touch-me-not sponges and bristle worms, also known as fire worms. Hydroids are related to jellyfish and resemble plants. The stings of these animals may be the least harmful, but they are painful and irritating. Stingrays are nonaggressive, but because they bury themselves in the sand they are easily stepped upon. The venom on the barb of their tail, can cause vomiting and dizziness.